If you're in the market for outdoor cushions and throw pillows then you know, they are ridiculously expensive. At least, the well-made, comfortable ones are. This year, while searching for a set of outdoor cushions I liked and could actually afford, it became very apparent there were none. ZERO. So, I'm making my own damn cushions. First, decide how many cushions you will need and the sizes. 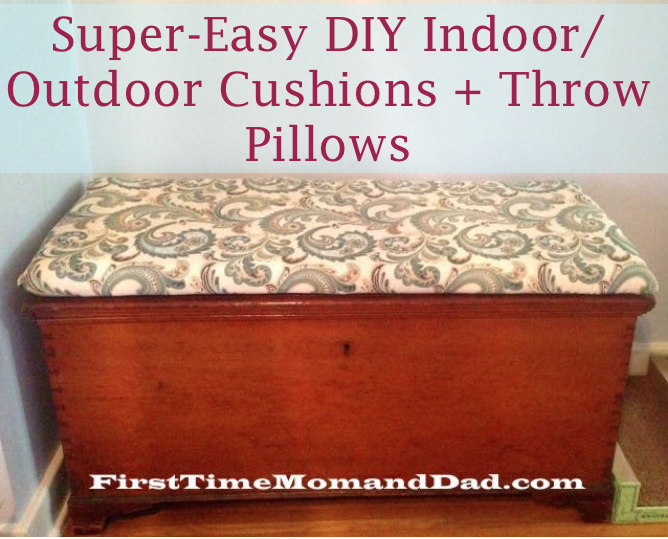 Indoor/Outdoor fabric: When making cushions, you can't just use any old' fabric. The fabric needs to be durable to withstand weather and daily use. Ask the attendant to point you in the direction of durable, and if available, anti-microbial mold resistant fabric. Then, pick your favorite pattern! Feeling Adventurous? Try using a super-cute fabric shower curtain or outdoor tablecloth. Both are made to stand up to the elements and abuse. That's going to be my next outdoor cushion project. I'm making two Star Wars bench cushions for the "kids" picnic table! Poly Foam: This is the part where you need to go to the "filler" aisle and look at your options. You will want to build a comfy cushion. Start with the Poly-foam filler. You can choose the thickness ranging from 1"-6". You can also stack them, so your cushion could really be as thick as you want. 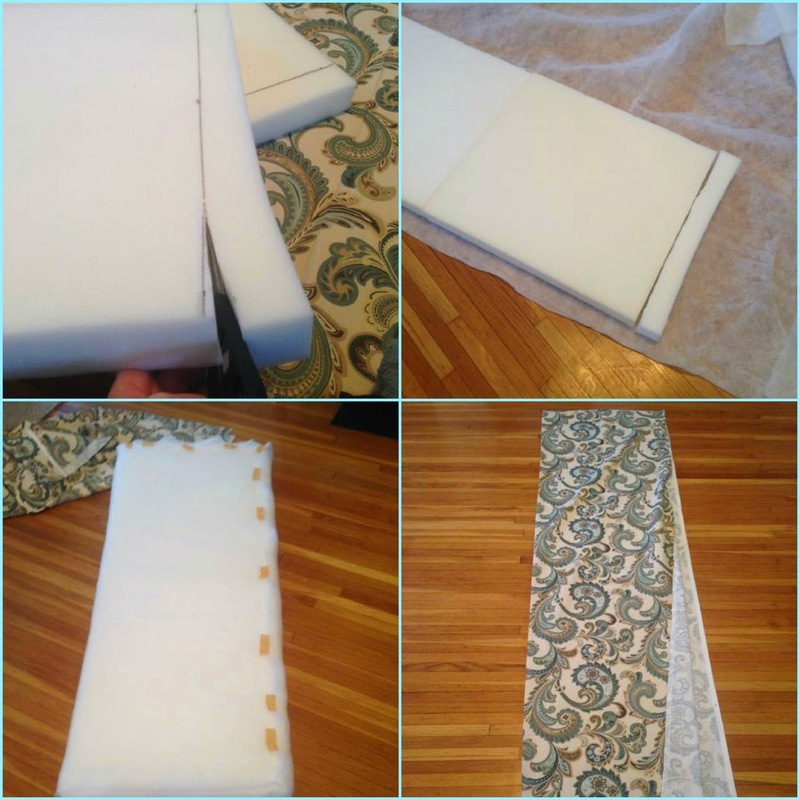 TIP: If you have an old memory foam mattress topper or can get one cheap, you might like this option for the seat cushions. It's what I'm using for the star wars bench cushions. I'm chopping it up to make as many seat cushions as possible! Cotton batting, stuffing, filler. For throw pillows, you will want cotton. 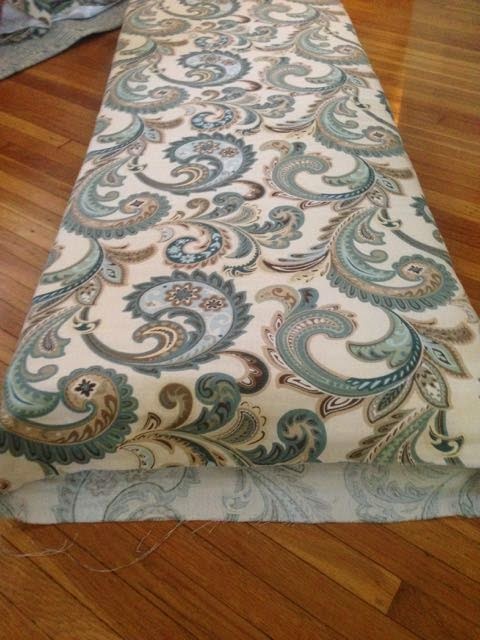 For seat cushions, I bought the roll out quilt batting to create a soft, smooth top and bottom for extra comfort. TIP: Consider a waterproof mattress protector for outdoor cushions or kids pillows. Gorilla Glue and optional zipper: How would you like to close your pillows? I think Gorilla glue is magic, and use that. If you want to wash your pillows or cushions separately, buy a zipper for one side and glue it down. OR buy pillow inserts: The sizes are large and work for seating. Find fabric and gorilla glue and be done with it! OR, there's always the super-duper fast and lazy method: Go to Target, find a heavy mildew resistant material shower curtain or outdoor tablecloth pattern you love. Buy two or three. 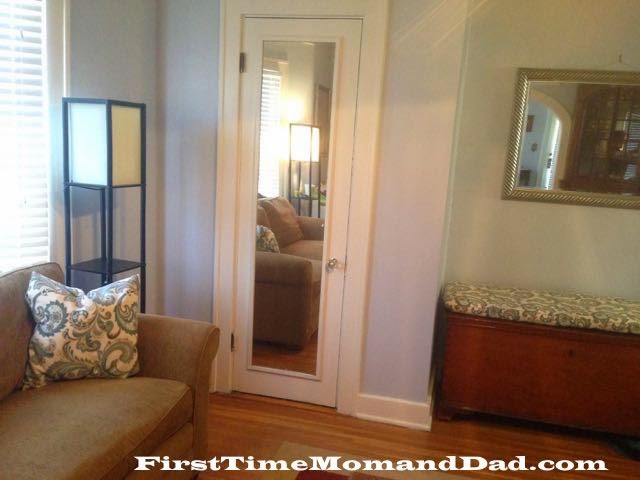 Go to the section with decorative pillows, look for a super clearance score. If none, go to pillow section and look for the size you need. If not there, buy the biggest pillow and destroy it when you get home for the filling. Stop by the memory foam aisle and look for an inexpensive option. Find gorilla glue. Head to check out. Go home and follow below steps. Below is a tutorial with photos. STEP 1: Measure out your cushions on the foam, use a sharpie to make cutting guidelines. STEP 2: Cut foam to fit. STEP 3: If necessary for long bench cushions or if doubling for thicker cushions, Glue the foam together. STEP 5: Fold fabric, print side facing in, then glue three sides of the fabric to form seams. STEP 6: Once the glue has dried turn the fabric right side out pushing the corners out.STEP 7: Stuff the foam seat in the fabric and seal the last side with a glue gun, Gorilla glue or zipper. True Story: After quite a bit of Gorilla Glue and cussing, I managed to stuff my batting covered foam block seating contraption into the fabric case. It takes some work. I grabbed the end, folded the fabric in on itself, smothered it in Gorilla Glue and sealed it shut! 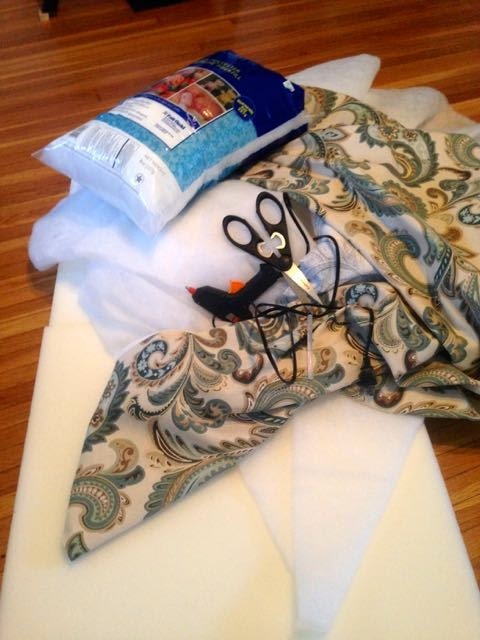 Budget Tip: Use leftover fabric to make throw pillows to tie the room/project together!!! 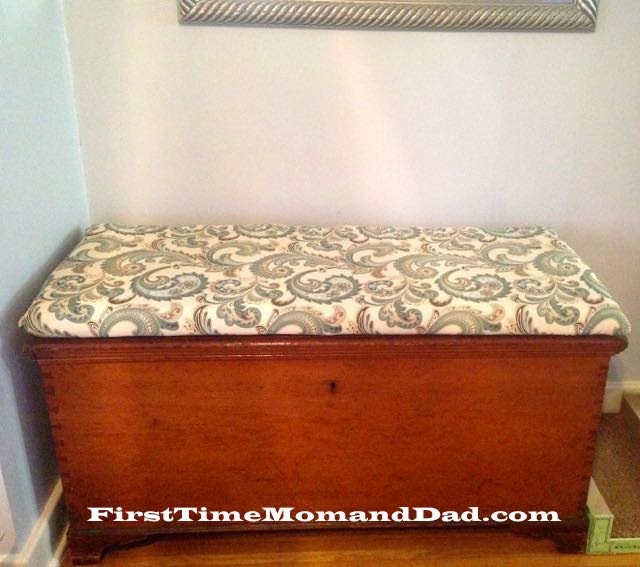 Even though no super-skilled DIY person in their right mind would tell you to make a no-sew seating cushion with Gorilla glue, I'm here to tell you, IT WORKED! If you have a vision, follow it and if you have to use unconventional methods, then have at it! Just whatever you do, don't let go of your vision! If I can make cushions, YOU can make cushions. *If you need more encouragement (or a laugh! ), check out this post full of Pinterest 'Nailed it' fails.